This chapter examines the relationships between language, identity, and place through an analysis of representations used in the Amsterdam urban movie Alleen maar nette mensen (Only Decent People). Stereotypes in movies are useful vistas into the ways language, identity, and place are perceived in Amsterdam, a Western European city characterized by increasing ethnic, cultural, and linguistic diversity and increasing spatial socioeconomic segregation. 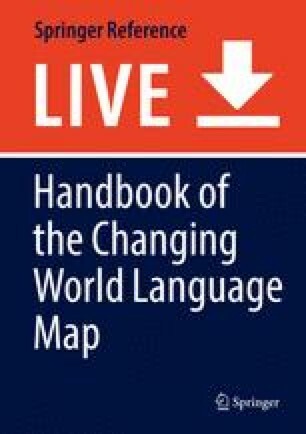 The chapter deals more specifically with the flexibility in language use envisioned by sociolinguists in their conceptualization of linguistic crossing, which stresses individual agency in the creative use of linguistic repertoires. The chosen movie has been critiqued for its stereotypical representations of race and gender, but it also provides clues about the use of language as a resource to navigate through the city and to use for group belonging. The analysis shows that some individuals (including the main character) are represented to be better able at conforming or disaffiliating themselves from certain social environments, stereotypically situated in specific neighborhoods, by making use of languages, while others are less successful to do so. The capability of being flexible and to have control over one’s language use and identity and to use them strategically in different settings is, however, not so much tied to questions of race and ethnicity which are stereotypically imagined but more related to the socioeconomic status, the educational background of the characters, and the ability to cross socio-spatial boundaries in the city. This research received funding from the European Community’s Seventh Framework Programme under grant agreement No. 613344 (Project MIME). Gario, G. (2012). ‘Alleen maar niet zo nette mensen’, published on https://joop.bnnvara.nl/opinies/alleen-maar-niet-zo-nette-mensen. 14 October 2012. Quoted 23 April 2018.